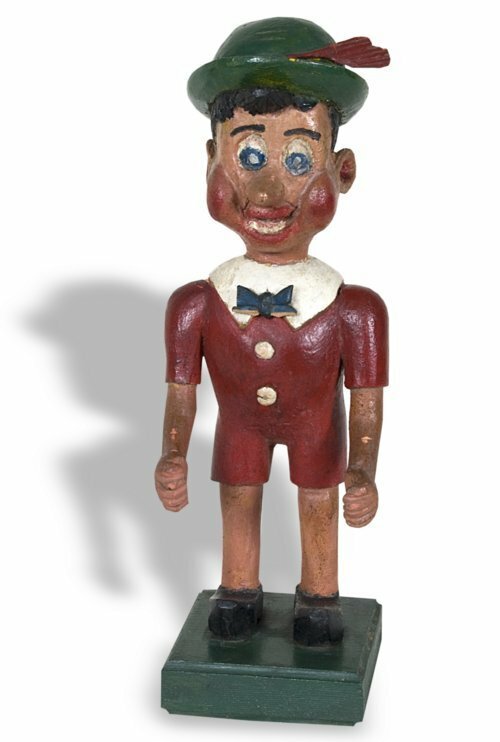 Hand-carved and painted wooden figure of a boy (possibly Pinocchio) on a square wooden base. The figure was made by Gust Andrew Sands and given to the donor's son around 1960. Mr. Sands came to Kansas as a boy from Sweden. He was a cabinetmaker and finish carpenter.